Come Jam with us at this year’s Play Fair in New York City! The event is being held at the Javitz Center on February 13th & 14th. 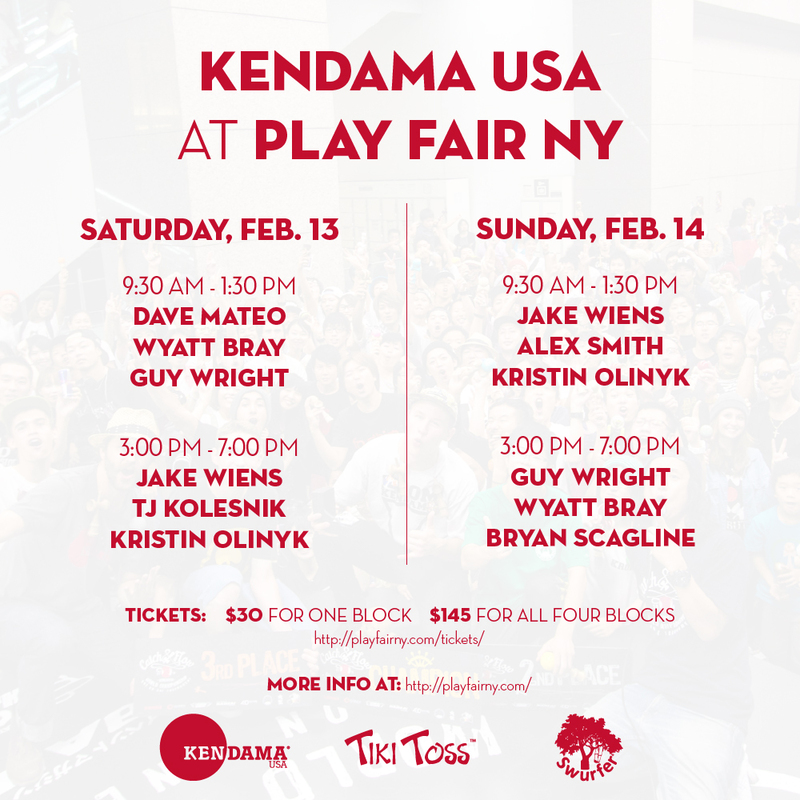 Most of the Kendama USA crew will be there so come out, hang, and meet your favorite Pro! Here is the schedule and who will be at our tent area on each day & session. The Javitz Center is on 11th Ave, between 34th and 40th streets, in Hell’s Kitchen, Manhattan, New York City.